I say it's high time churches started looking and acting more like motels than hotels. Well, for starters, motel room doors are on the outside of the motel as opposed to inside, making the people there more accessible. And the check-in process is less intimidating.You don't have to check in with over-groomed Pious Pierre at a fancy, black marble concierge.You just pull up, lurch inside the "Office" and get your room key. Sure, motels have a higher ratio of roaches to people than hotels, but I'm talking about the accessibility and approachability of the people, not the bugs. Sometimes it seems like churches are more like hotels. Their doors are on the inside. You might be able to sneak in once, but if you want to get a room (i.e. 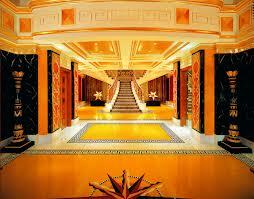 stay), you better look and act a certain way, or at least fake it in the lobby. The sign might say "Come as you are!" but that's only for first-timers. After that, you better come as WE are - in other words, you can stick around as long as you look, act, think and believe exactly like the rest of us. OK, technically you have to check in at a motel too, but it's easier and less intimidating. You can pay cash for your room. You might be paying with drug money, or getting a room for a "nooner", but they still let you in. You might even get a room without ever having to check in, if you know someone already there.You just pull into the parking lot in your beat up Chevy and call your friend. "Hey, which room are you in?" Then you wander around, acting like you belong there, carrying a large brown bag full of items that clink, until you find the room and then knock on the door with your foot. Of course, there's no room for you to sit anywhere except on the bed, there's hair in the sink and the room smells like a foot, but you're in.That simple. Sometimes Christians are as hard to reach as the rock star who's passed out in luxury suite 203 in the Hotel Las Vegas. Between our mega churches with their intimidating Staples Center facades and auditorium style seating, and the smaller more modest sanctuaries with their vast array of "smells and bells" and overly perky Sunday Seafood Socials, it's a bit much for the weary traveler just looking for a place to find some consolation and comfort. So what if churches felt more like motels? I don't mean they should be small cramped spaces stocked with mini-soaps and scratchy white towels, but what if they stopped trying to look like the Hyatt? Dropped some of the pretentiousness? Meet up with a friend who is already here! I think we'd have more people in church and more people finding their way to Christ. What is the dress code? And what if I don't own a skirt or a suit? Do I have to stand/kneel/genuflect during certain parts of the service? What does genuflect mean anyway? What if my knees won't flect? What if I don't know all the words to "Amazing Grace?" The Apostles Creed? Pilgrim's Progress? It's quite overwhelming. Some people will call and ask these questions. Others ask friends who already go to the church (always fearing that they'll be corralled into going if they show any interest). Me? I'm a church spy. First, I check the church out online. I peruse their website. Read the "About Us" page thoroughly. If the church has an "app" then I know it is probably a mega church. If possible, I listen to or watch a few sermons on YouTube. Eventually, I go off-line and sneak in the back of the church on a Sunday morning and sit in the last row and just watch. And listen. I don't wear a disguise or a hidden microphone or anything, I just try to blend in. Bow my head when asked. Stand. Open my hymnal. Sing. Luckily, I know all the old hymns. (I was raised Baptist after all! Yes, we can sing, just not dance. Or sway.) I take note of how people are dressed. How you act toward each other. Whether or not there are people there who look like me. I pay attention. When church members approach me, is it only during the offering? Does the pastor really connect with people and God or does it feel more like a Tony Robbins "pep rally"? Am I welcome to join in on communion without a church membership card or a public statement of faith? In other words, do I feel out of place here or do I feel like I fit in? If I feel like I am in a big fancy hotel with a lot of big fancy people who sing big fancy songs and pray big fancy prayers than I am probably going to move on to the Methodist Motorlodge. Or the Catholic Comfort Inn. Or Motel 7. Bottom line, people want to feel comfortable and welcome at church. They want to be greeted, not sized up. Fancy is nice for vacation stay, but when it comes to God's house, I think all the gold and glitter just scares people away. Let's put our doors on the outside and come out of our rooms and help wandering travelers find peace and rest, no matter who they are or what they have done. 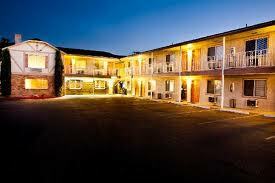 Even if the show up in flip flops and a Marijuana T-shirt with lots of baggage, let's come out and welcome them to our motel with open arms. OK, maybe not open arms right away, let them hide in the back for a minute and then offer them a firm handshake and some coffee from the bathroom coffee maker. You know, like a nice, simple motel? And for the ones still out there on the road who have yet to join us---let's keep the light on for them. Email on gmail at hopeh1122. Relax. You're Not That Interesting!